Greetings stranger. You have stumbled upon the place full of personal nostalgia. These here is a list of old games, demos or attempts at making games, all created in years between 2007 and 2012. These are all results of personal tinkerings, all abandoned halfway through, when their maker got bored and moved on to start another project, which he would abandon in turn. So forgive us if they are a little broken. Such are the fruits of short attention span and lack of formal structure. Dungeons of Z*rk is the worlds first (and only?) 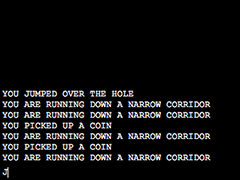 text based endless runner. 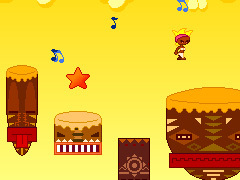 It is a demake of games such as Canabalt or Temple Run. 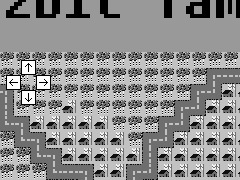 It is a throwback to more primitive age when computers were not yet capable of displaying graphics at all and interaction was possible only via command line. 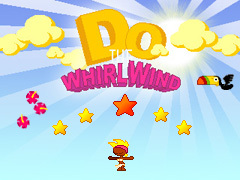 Do The Whirlwind is a mix of an old school platformer and rhythm game. Blame it on global warming. Ice caps melt as planet cooks. Clementine's village on Kiribati is in danger of sinking. She must dance her way to distant corners of the globe to appease the Ancient Deities and unlock the recipes to sacred cocktails. With plenty of colorful booze in their hands Mighty Gods will need ice and had to refroze the Planet. Sometimes we bite off more then we can chew, but even the biggest undertaking can be swallowed if broken up in small chunks. Do The Tam Tam - Pint size serving of our bubbly game, or another experiment in the world of Clementine & Friends. Hit 'em blockheads 'till they start to sing. This may or maynot end up in the final game, still we thaught it'll be fun to post it here. "Mama told me I can have anything I want, but Pirates(tm) make me pay"
With these enlighten words by my esteemed colleague starts, our own halfassed attempt at making a space shooter powered by an engine which lets you muck around with gravity fields of various celestial objects. Alas, we got tired of its shortcomings, even if they were products of our own incompetence. Here it dies by thousand cuts. Our by far the most ambitious project from this era. This is a game into which Starlust evolved. Alas, it too got abandoned half way through. I never did even get around to giving it a proper name. It will for ever be known as Project G1. G stands for gravity, which again plays a key part. 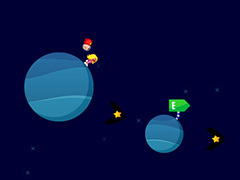 If you are curious why don't you take a spin of this spheroidal platformer. Sunshine in Tampere is a product of yet another month of almost constant cloud cover in Tampere, Finland, and one of many coffee break conversations between myself and Mr. Atanas. 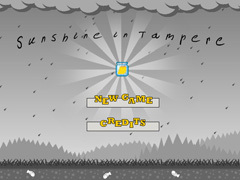 This is our first attempt at exploiting the basic sunshine catching game mechanics, the path I decided to take, of oldstyle arcade action game. No animals were hurt while making this game. Tight Horizon is an exercise in acrobatic flight. Press SHIFT to spell letters. Press UP for throttle. Right and Left arrows are used for steering. 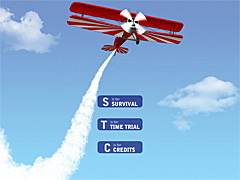 I tried to use Palm OS Graffiti, but I had to modify most of the strokes, so they could be performed by a biplane. Press H for hints. The word list is actually snatched from Scribblenauts. I don't know what half of these words mean. I admit, this is not my idea. I saw something similar on Kongregate or Newgrounds or some such web site. Still, the idea of a platformer where the scenery is created out of words which describe the actual items fascinates me. This here is my take. Once upon a time driven by blind trust in my own talents and spurred on by friends I was applying for a job at prestigious gaming company. With very little of actual value to show, silly me, figured it would be a nifty thing to transform my humble CV into playable form. 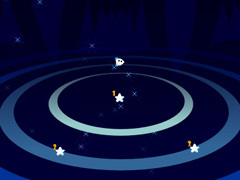 This here little space shooter is the result of this attempt. I wonder if anyone of note ever saw it. 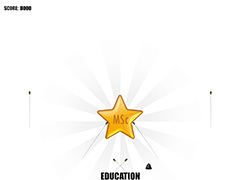 Fittingly, it ends exactly when my adventures as a professional in gaming industry start. 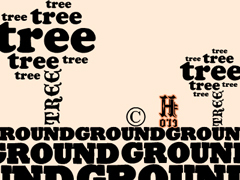 Copyright: Stane's Island, and kids remember to use serif fonts.